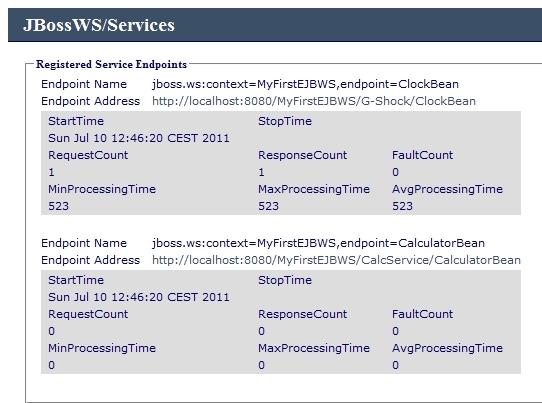 You'll see below that retrieving the WSDL from a web service deployed on JBoss AS 6 is even simpler. One important thing you shouldn't forget is that, as defined in the EJB 3 specifications, only stateless session beans can be exposed as web services. Below, you'll see the 2 ways JAX-WS specifications allow you to follow in order to implement a stateless session bean as a web service : with or without defining an interface. To test these classes, simply create an EJB project with Eclipse (FYI, I'm using Eclipse Helios). Create a source folder named "src" within this project. Then create a package named "beans". 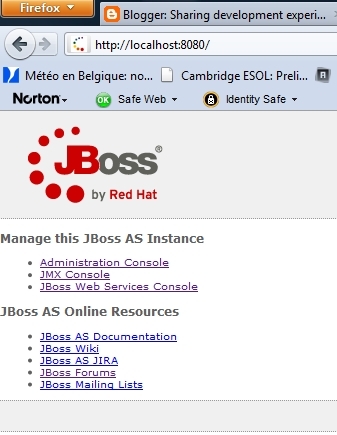 Paste the 2 classes and the interface in the "beans package" and deploy the whole project on the JBoss AS server. 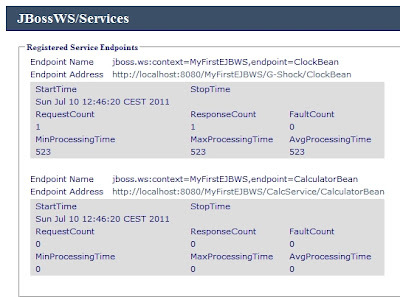 From this page, you can click on the "Endpoint Address" of each service, which will bring you to the corresponding WSDL. 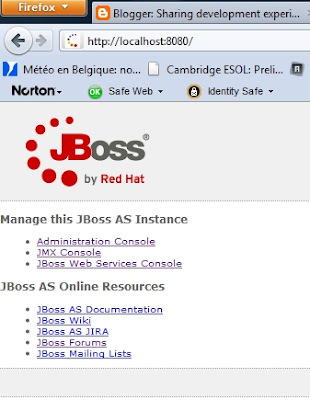 Voilà, you're go to go with your first EJB 3 compliant web service.